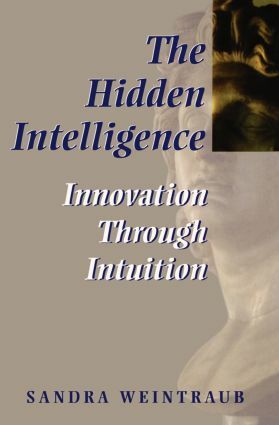 The Hidden Intelligence explores what intuition is and is not, and why it is often hidden. Based on interviews with executives from Fortune 500 organizations to entrepreneurial startups, the book is full of insights the author has gathered over the years working with creative problem solving and ideation techniques. It brings our intuition into the mainstream of those skills crucial to running a successful business. The Hidden Intelligence explores how intuition in its various forms helps to create new products and marketing strategies at large and organizations. It explains what is and what is not intuition, why it is often hidden, and demonstrates that when it is used correctly, the intuitively-based decision is always correct. Sandra Weintraub began Management Resources over twenty years ago as a training and management development consulting firm. She has provided training for Fortune 500, educational, and governmental organizations, served as an adjunct professor in management skills at Brandeis University, and published several articles on management and intuition.